"You know, I didn't even realize it was December. Maybe when we get home, we should decorate the rubble." It's almost that time again. I'm sure lots of folks out there are covering their ears at the sound of approaching carols and yelling, "Noooo! It's too early!" I hear you. Or I would, if my ears weren't covered too. And yet, When you stop to look at the calendar, one must admit it. The hour grows late. I think Hanukkah starts this week, Turkey Day is right behind that, and then we're neck deep in jingle bells and candy canes. In the name of approaching the season with something like preparedness this year--and also with a degree of nepotistic shout outs to cool people I know who are doing involved in cool projects--I'm going to share some seasonal stuff with you. For folks like me who have a pair of old ballet slippers shoved in the center console of the car, Thanksgiving means not only stuffing and pumpkin pie, but the start of Nutcracker season. If you also happen to be in my corner of the physical world, I'd like to recommend the Davis Art Center performance to you for Thanksgiving weekend. Leave the crazy Black Friday shopping to the weirdos (really, that's what the internet is for) and go watch dancing marzipan and coffee instead. And I happen to know there is a new Nutcracker Prince debuting this year who is quite talented. 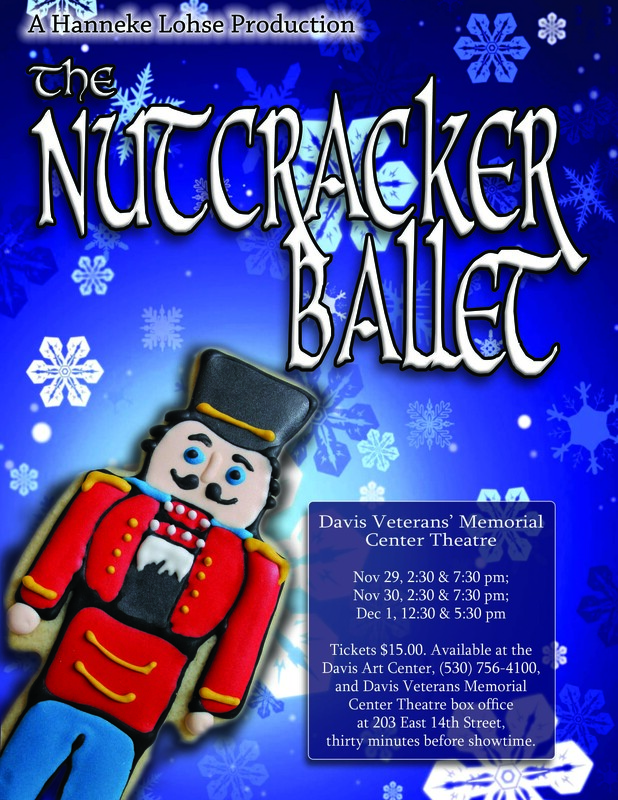 The show is at the Veterans Memorial Theater the Friday, Saturday, and Sunday following Thanksgiving. You can check out the article in The Davis Enterprise, or pick up tickets at the Davis Art Center. And for those you who are writing out your wish list for Santa, check out Circle of Gifts. The problem with me emailing out a list of stuff the kid needs/wants for Christmas to the grandparents/aunts/uncles/what-have-yous who ask for it is that he might end up with a pile of Transformers and no clothes that fit him (admittedly this isn't a scenario that would overly distress him). Or he might end up with four Bumblebee transformers and not a single Optimus Prime to lead them (crisis situation). So my husband made Circle of Gifts as a little family project. You share your list with friends, and they can secretly claim a gift and then everyone knows that one is taken (but not by whom), and Dad doesn't end up with 12 ties with kittens in Santa hats frolicking across them in pattern. It started as a little tool for a half dozen of us, then some of the in-laws wanted to use it for their family groups, and then it mushroomed into a full public site out there in the wilds of the internet. It's free, it's fun, and it makes our lives easier. May it bring you joy.